Intraoperative MRI and Neurophysiologic Suite with Skyra 3 Tesla and All Neurological Siemens Applications. Intraoperative Neurophysiologic monitoring using Inomed ISIS 32 channel and MER with Stereotactic facilities adopted to the MRI, are also in the run. Dr. Munir Elias MD, Ph.D. Site Author. This site is directed mainly to the medical audience and neurosurgeons, partially aimed to present the operative and academic activities of Prof. Munir A. Elias Shawash over 40 years period. Here the neurosurgeon can find the standards and new modifications in the treatment strategies in paraplegia, brain tumor, spinal cord injuries, head injury, pain management strategies, including neuralgia of different etiologies, movement disorders. Neurosurgeon needs a very long way to understand that, experience is important in this field of medicine - neurosurgery. Stroke and ruptured arterial aneurysms remain in the upper list of difficult problems, which are far from perfection and the mortality rate remains high. Spinal surgery is extensive and take 80% of the neurosurgical activities: prolapsed disc , lumbar, cervical and dorsal are the top ranking in practice followed by other degenerative spine problems, such as spondylolisthesis, OPLL with cervical and lumbar canal stenosis. Neurosurgery has time-sensitive decision-making strategies. This is governed by the rapidly changing status of the patient. Neurosurgeon must react accordingly to the recent moment. He must be able to predict, or at least to keep in mind the possible complications, and react with caution to prevent them, before they escalate. Intraoperative video documentation made it possible to analyze and retrospectively discover some causes of complications, which the neurosurgeon previously blamed himself for that. It became clear, that some triggering factors for complications are presenting before their eminence. Here come the power of intraoperative monitoring using IOM ISIS HighLine 32 channel with all available parameters, which can alarm the functional shifts before they become real disaster and to take the appropriate measures before they become irreversible. Neuroanesthesia is the cornerstone in proper navigation of such monitoring to make it feasible and to guide the patient with safe margins until he pass the surgical storm. It starts from the preoperative period until the patient is no more complaining, whatsoever it needs time. Intraoperative morphological navigation using BrainLab skyvision with the MRI with the most high standards available with all softwares more empower the surgeon to know and see all the data and take the proper action and know at which stage he is standing. 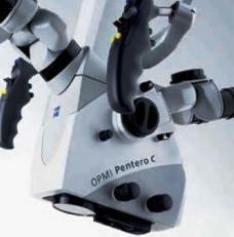 Pentero-C is not only a microscope, it give the neurosurgeon the power to see, what he could not see before with the appropriate softwares. Concerning stemcell therapy, it got excellent results in all disciplines, where tissue have good regenerative potential with primitive biological function. In central nervous system, which consist of neurons and supportive tissues, the glial tissues can regenerate, but their role in final higher functions is somehow limited. Treatment of paraplegia and stokes are still far from perfection. The tried surgical treatment of paraplegia with putting anastamoses between the upper dorsal functioning roots and lower lumbar non-functioning roots gave bad results. It seems resolving such problems must have other dimensions or combination of them. Not all new standards in neurosurgery can stand time. Only the good for the patient's outcome will stand and remain even, if they are too old. 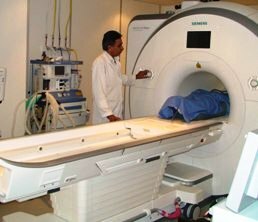 Since 2007 at Shmaisani hospital functional neurophysiologic navigation ISIS Inomed Highline 32 channels and BrainLab Suite integrated with Siemens Skyra 3 tesla fMRI with fibertraking (DTI) and other more than 80 Syngo softwares for intraoperative monitoring are in practice since 2013. 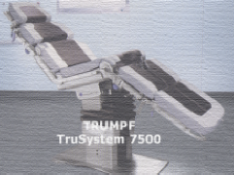 It is very sad to say that, very huge medical corporations can misinform the neurosurgeon about the new products without telling that these items having disadvantages, but in the contrary, reporting that no morbidity or complications can arise, until the neurosurgeon discover them in his personal experience. Profit-oriented corporations must respect the ethics and tell the true story about any product, so as, at least to be ready to inform the patient and to try to resolve these possible complications. For that reason, the author started to be expert in SolidWorks and Autodesk Inventor to create new designs and studying their efficacy. When you have one complication, you forget the hundreds of successful alike surgeries and a sad feeling will overwhelm you, not mentioning that when you live in the third world, where no body understand this, including the primitive wrong directed legal system. Using MATLAB and signal processing and Inomed MER and RM stereotactic device with micro-macro electrode recordings, we could translate up to now more than 20 areas of the deep nuclei and surrounding areas of the brain. This is only the start of the project, which with time must cover more than billion of sites in the brain and later the spinal cord, creating the GPS inside the brain and neural structures. This and and the chemical map of neurotransmitters could jump the humanity to new level of understanding the normal and pathologic conditions from different conventional aspects and can lead even to catch the activity of the functioning brain. It is simple as creating a new language and to put the letters, and then the poems and literature according to this new language. With the introduction of new technologies, new dimensions arise and new problems also. When you have more data, you have more information to deal with and your tactics and options also may expand further, but despite that, complications will remain and they will need solutions. At last we are human beings and the more effort you do, the more spirit comfort you will feel when your life come to end. Skyra MRI with all clinical applications in the run since 28-Novemeber-2013. 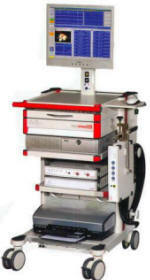 Inomed Riechert-Mundinger System, with three point fixation is the most accurate system in the market. The microdrive and its sensor gives feed back about the localization. Neurostimulation with ISIS Inomed system. The World's first and the only Headmounted Microscope. Freedom combined with Outstanding Vision, but very bad documentation. 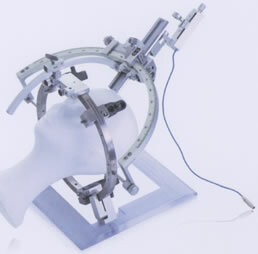 Prestige LP Cervical Disc system Medtronic. Inomed Stockert Neuro N50. 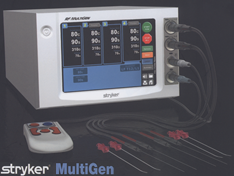 A versatile RF lesion generator and stimulator for countless applications and many uses. About Bipolar Pulsed Mode RadioFrequency Applications. Please Click here! To see first authority, Click here! INTRAOPERATIVE MRI RESULTS DURING THE PERIOD 2013-2018 IN NEUROSURGERY AND SPINE SURGERY. Bad surgeon-Bad result with unimaginable complications. Gliadel wafers, radiation, temozolomide, Avastin and CAMPTO in treating glioblastoma multiforme. Intraoperative CVA of the left cerebral hemisphere during discectomy for PCD C4-5 and C5-6 with fusion. New method in cubital tunnel release. Old established standards of carpal tunnel release. Ossification of Posterior Longitudinal Ligament. Trinica Zimmer cervical miniplate with Fidji cages and Novabone. What is Compound Nerve Action Potential-CNAP? When Hi-Tech is not needed!